Last edited by Abbas Ali on Fri Dec 09, 2016 6:45 pm, edited 1 time in total. According to news sources, a PIA ATR aircraft performing Chitral to Islamabad flight is missing. The air traffic control has lost contact with the aircraft. The aircraft was carrying 47 persons. An explosion was heard in mountains near Abbottabad. A plane has crashed near havelian sad sad news !!! The ATR reported problem in left engine, according to news sources. 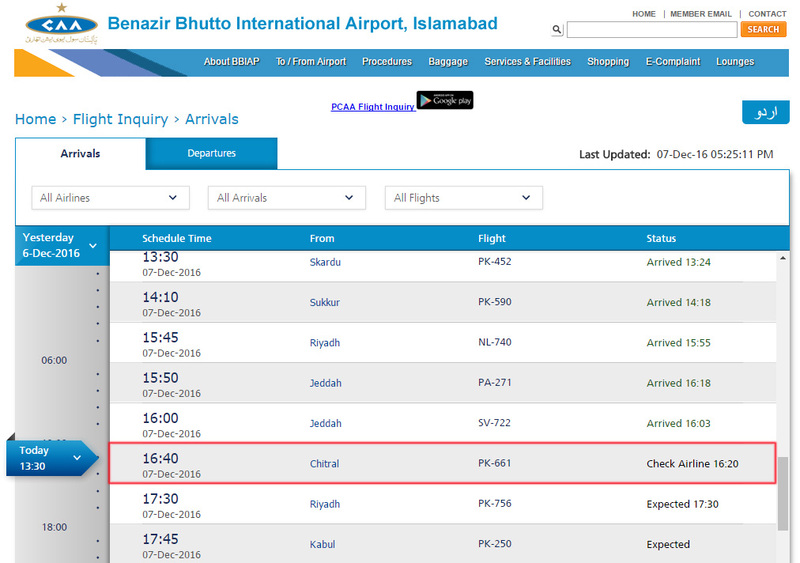 PIA Chitral to Islamabad flight PK-661 was scheduled to land at Islamabad Airport at 4:40 PM. Some sources say aircraft ground impact explosion heard near Havelian, Abbottabad. The ATR had departed from Chitral at 3:50 PM and is missing since 4:40 PM. The aircraft was carrying five crew members and forty passengers. Mayday call was received from ATR 42-500.
is there any press release by PIA so far? or any passenger list release yet? December 7 is International Civil Aviation Day and also Pakistan Civil Aviation Authority (CAA) anniversay day. Seven dead bodies recovered from crash site. Bleak chances of finding any survivor, according to local government officials. Is the registration of the crashed ATR known ?